Fiat Chrysler is recalling nearly 209,000 SUVs and vans because of gas bubbles in the brake lines. The problem could increase the time it takes the brakes to stop the vehicle.The recall affects a number of different SUVs. Fiat Chrysler is recalling nearly 209,000 SUVs and vans because of problems with their brake fluid. The recall affects newer vehicles that were assembled in the spring of 2018. 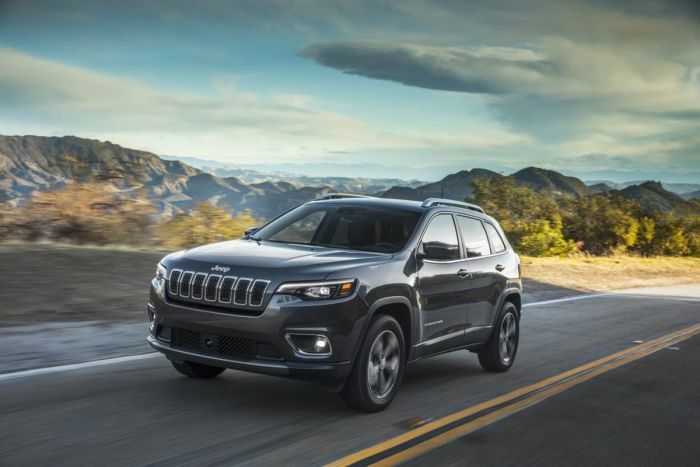 The recall includes some 2018 Dodge Journey CUVs, 2018-2019 Dodge Grand Caravans, 2018-2019 Jeep Compass SUVs and the 2019 Jeep Cherokee SUVs. Many of the vehicles are so new that they are still on dealer lots. Fiat Chrysler says that no one has complained about the problem and there have not been any accidents or injuries because of the bubbles in the brake lines. Dealers will inspect the recalled vehicles and bleed the brake systems and replace the brake fluid, where it is needed. Owners should be notified about the recall soon. Any customers who are worried or who have questions should call the FCA Customer Care Center at 1-800-853-1403. Customers could also contact their dealer. You can also find out if your vehicle is involved in the recall by entering your vehicle identification number on the National Highway Traffic Safety Administration Site. The recall involves 154,337 vehicles in the United States, Another 19,066 vehicles in Canada, 900 vehicles in Mexico, and another 35,562 vehicles that were sold elsewhere in the world. Luckily, Fiat Chrysler caught the problem while about a third of the new vans and SUVs were still on dealer lots. Still, a recall is always considered a black eye, even though this is a sign that Fiat Chrysler caught it early, before there were any accidents or injuries.